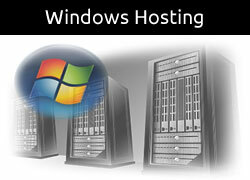 What type of support did the web hosting company offer? Did they overload servers with thousands of web sites, or have a more reasonable ratio of websites to server resources? Was the prices reasonable for the service a client was going to receive? With all the information presented to us, we decided that the preferred windows hosting options available were as shown below. Our preferred standard windows web hosting options have something for everyone, and offer a 14 day free trial period (excluding domain names). UK based, secure data servers and first rate 24/7 UK support, our UK windows hosting packages start from just £3.45 per month (excluding VAT). 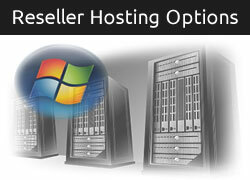 Own your own web hosting reseller business, and get white label reseller web hosting. With no MINIMUM contract period (you can cancel anytime) the windows reseller program offers you the chance to provide clients your very own web hosting packages, from just £9.95 per month (excluding VAT). Ready to setup your own Cloud Hosting Package? If so, then we have selected 3 self managed cloud hosting options for you. The cloud hosting is the next step up from shared and reseller packages, where you are in control. Prices start from £24.95 per month (excluding VAT). 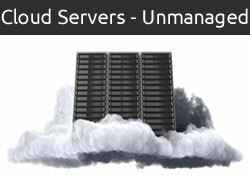 Managed Cloud Hosting is for those of you who want the added security and backup of having a managed cloud server. Whilst more expensive than traditional cloud hosting, these packages give you a safety net to work from. The package prices start from £59.95 per month (excluding VAT). At 123 Simples we offer value for money web design and website tune-ups (existing websites that are not doing as well as you hoped). We try to be fair and upfront with all our clients, and our reputation is built on making your website as good as it can be. If you would like to pay a reasonable fee, and you trust us to get the job done right, then you can join a growing database of satisfied clients who are happy with our services. Why not get in touch for your no obligation quote, help or advice. It's good to have a web design company who can offer a personal service." Get in touch with 123 Simples for your web design quote. 123 Simples, C/O 33 Eagle Avenue, Waterlooville, Hampshire, PO8 9UB. 09.00 - 17.30 Monday to Friday. If you would like to receive newsletters, special offers, and latest updates. 123 Simples are a well established web design business in Portsmouth. We provide our clients with a wide range of services at affordable prices. It has always been our goal to look after our clients, and that's why our business continues to grow. Our ethos is to keep it simple stupid! Our advice costs nothing - give us a call or send an email.